Daniel Martin is Doctor in Biological Sciences (Ecology) for the Universitat de Barcelona and Scientific Researcher of the CSIC in the Marine Ecology Department of the CEAB, working in the Research Group “Molecular Ecology of the Marine Benthos”. With expertise in taxonomy, ecology and biology of marine benthic invertebrates, particularly Annelid Polychaetes, his research focuses especially in the study of inter-specific interactions involving Polychaetes (e.g. symbiosis). He has been scientific reviewer for about 65 SCI journals (e.g. Scientia Marina, Hidrobiologia, Marina Biology, Fauna Ibèrica, Coral Reefs, Helgoland Marina Research, Journal of the Marine Biological Association of UK, Deep-Sea Research II, Journal of Natural History , Zootaxa, Zoological Journal of the Linnean Society and Zoologica Scripta). He belongs to the editorial committee of Scientia Marina and Invertebrate Zoology and is Review Editor for Annelida in the section Marine Systematics and Taxonomy of Frontiers in Marine Science. 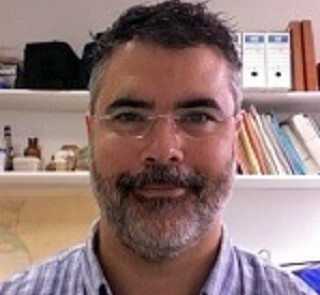 He is member of the International Polychaete Association, The International Society for Invertebrate Morphlogy and the Systematics Association of UK, and Professional Member of the Marine Biology Association of UK. He is also participating in outreach activities (e.g. Open Doors Day, Conference cycles to general public, introductory visits for students).